Are going to get married and do not know what to cookFor moving to her husband's house? But with the beginning of family life, the bride and groom invariably unite not only hearts, but also life. So what role does the property of a young wife play in this, and do you need to prepare for marriage financially? Dowry (or dowry) is, in fact,A set of values ​​that the bride brings to a new family after the wedding. Earlier, when women did not earn money, which means they could not contribute to the general kettle of family income, as men did, their property was added, so to speak, to the balance of the spouse once - after the wedding. Next, the task of the woman was to give birth and raiseOffspring, keep housekeeping, cherish husband's good, and do not multiply it by working or intellectual labor. That is why the ancient Slavs had such great importance when they transferred the material values ​​of a girl from the family of parents to her husband's family. Today the situation is fundamentally different - women and men are equally able to ensure the welfare of the family, so that instead of "One-off fee"Emancipated wives put theirMeans in a food, a life, children, rest and other. 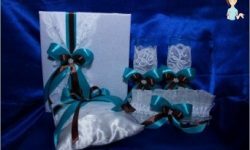 That is, to bring as many valuables as possible after the wedding, it's not so important, because the spouse will continue to do this, all the time, year after year. Dowry of the bride is an old tradition, whichModern girls observe less and less. And yet, many men, and even more of their family - the older generation, still expect that the bride will at least formally part of this tradition. Basically, from a young wife and her family,That some household objects, things that create coziness, textiles, kitchen utensils will be moved to the matrimonial house-in short, everything that a new landlady will need for home management. Some husbands are genuinely surprised when the wife does not have her own frying pan for pancakes, and her mother-in-law is annoyed that her daughter-in-law even did not bring a tablecloth to the house. So at the philistine level, the dowry today- just a gesture of courtesy towards the traditional family way of life, and if you want to make a good impression on the groom's family, something you need to bring with you is still necessary! Specifically, we'll tell you. That's all the belongings that you can conquer for yourselfEndorsement of traditionally tuned relatives from the side of her husband and avoid in the distant future reproaches in deprivation. On the other hand, pay attention to the fact that even a modest set can take a month's salary - because everything should be new, unused! Perhaps it makes sense to collect everything gradually, but keep in mind that the things used before are a bad form and are forgivable only in the poorest families. 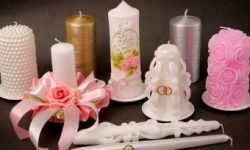 Probably, you thought that we are talking about an apartment,Car and promotions, but the bride can brag and bring a rich dowry, even without the benefits listed. Still, household items can also be very valuable, especially if there are a lot of them. In ancient Slavs, the dowry of the rich wife was notSo much in lands and gold, as in fabrics, utensils and needlework, which she herself made for the wedding. And the more he was there, the bride became more attractive in the eyes of the groom's family. Previously, an auction was held for a dowry - a specialDay, when the groom's relatives came to see. They were met in a spacious room, where all the goods prepared for the wedding were laid out in open chests. 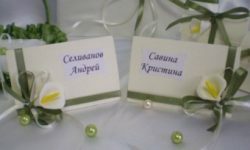 And the parents of both sides agreed on theWedding ceremony, already proceeding from such a kind of bargaining - from whom many values ​​will go to a new family, and a kind of auction played an important role in this. If you do not belong to the elite class of society, "Of wealth"Can be collected according to the principle of the expanded list given above. So, what is good for the bride? As you can see, such a list is much moreValue is one that we have given as a symbolic. As a wife, you will make a huge contribution to the family hearth by bringing such things to the house. Note that the technique may not be new, unlike other items - utensils and textiles. Preparing for the crown, collect the dowry according to plan -First the most necessary, then expand the list as far as possible. Remember that you will be the first to use all this, especially when it comes to household accessories and objects that create a cozy home. Choose all of the highest quality, low-key style(Linen - snow-white, towels - only terry, good-quality dishes), but also for high prices do not chase. Your young husband should not have a feeling that you "crushed" him with your things-let your dowry speak of modesty and care, and not a desire to boast of prosperity. Until then do not use what you bought for the wedding. Everything that we listed does not deteriorate - it will wait its hour and will give you and your spouse many moments of joy and a sense of comfort. Used things bear the charge of that familyAnd the life in which they were used. The new introduces freshness and a sense of well-being in the house and in the hearts of the newlyweds - this feeling is worth a lot! We wish you a merry wedding and a happy family life!